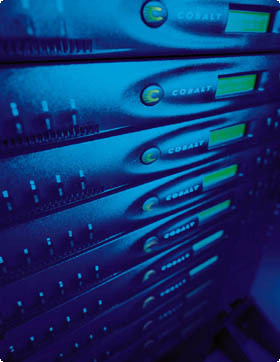 Congratulations on Choosing a Cobalt RaQ - the premier server appliance platform for web hosting. Your new RaQ delivers a full suite of Internet services with remote administration capabilities all packaged in a single rack unit height, industry standard enclosure. The RaQ 4 includes integrated ASP, Frontpage Server Extensions, CGI scripting and SSI support for the ultimate web hosting and development environment. Web content may be edited using a Frontpage client, by FTP file transfer, or by editing web files directly through Telnet access. Frontpage and Telnet access must be enabled prior to use. This RaQ supports browser-based administration at the following URL: http://<your.host.domain>/admin/. You may want to bookmark this page for future use.